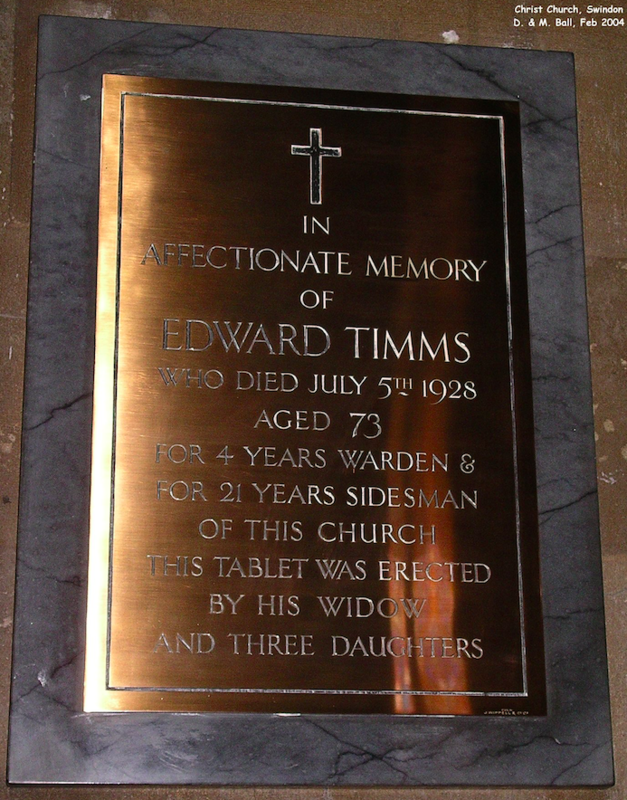 TIMMS - SWINDON, THIS IS SWINDON. 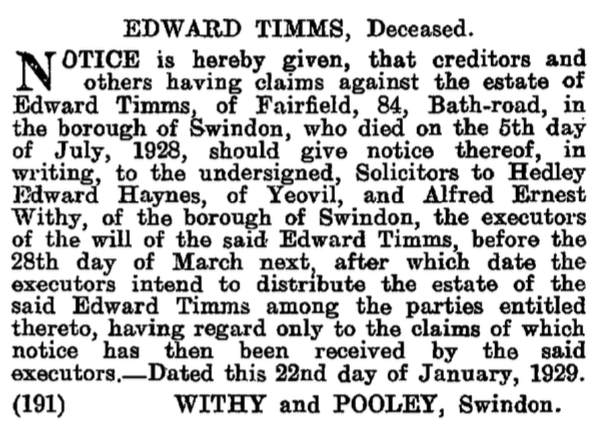 Edward Timms was born in Lechlade in 1854. 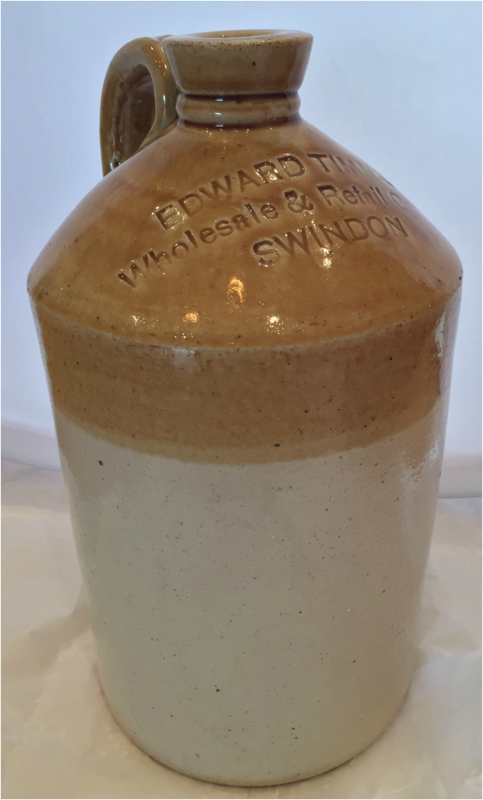 By 1881 he was an established grocer in Swindon and married to the sister of well known local grocer WILLIAM HAYNES.